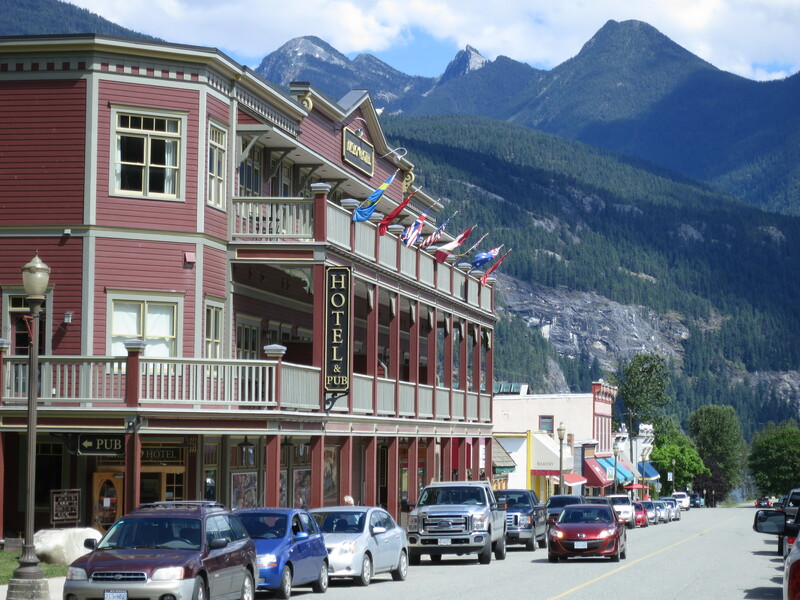 After a five-hour but beautiful drive from the Okanagan to the Kootenay region of BC we wound up in Nelson. 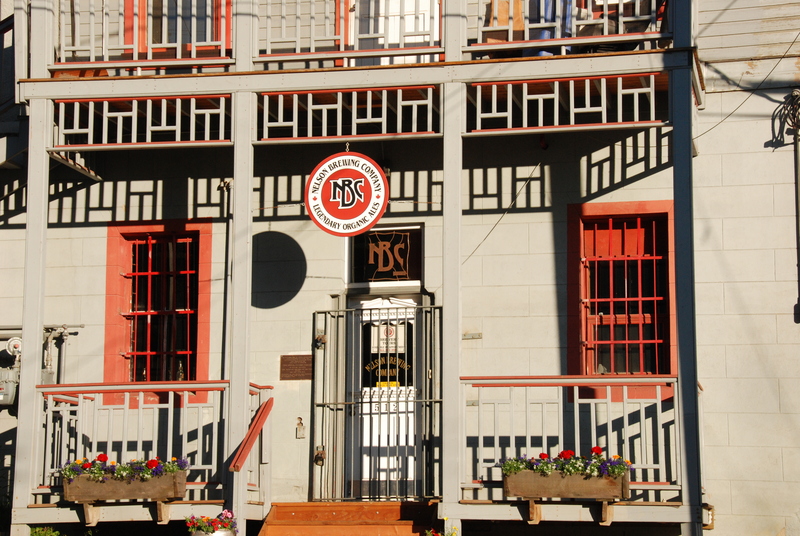 It’s hip, it’s historic and it’s full of cool people living a (presumably) alternative life. Kick-started by Vietnam draft dodgers from the US with more liberal views, and cushioned by the wealth produced from a thriving marijuana industry over the last 20 years there’s an abundance of sport adrenaline junkies, organic farms and artisans. Someone remarked that people there were ‘hippicrites’, lots of expensive clothing masquerading as frugality, not part of the corporate world etc. I don’t know if that’s true or not, from locals in the nearby village of Procter we heard that many living in Nelson these days are working at two or three jobs – there’s very little in full-time work available – housing and rentals are expensive after the real estate boom begun in the early 2000’s and we noticed that there were many restaurants charging what amounts to Vancouver prices. 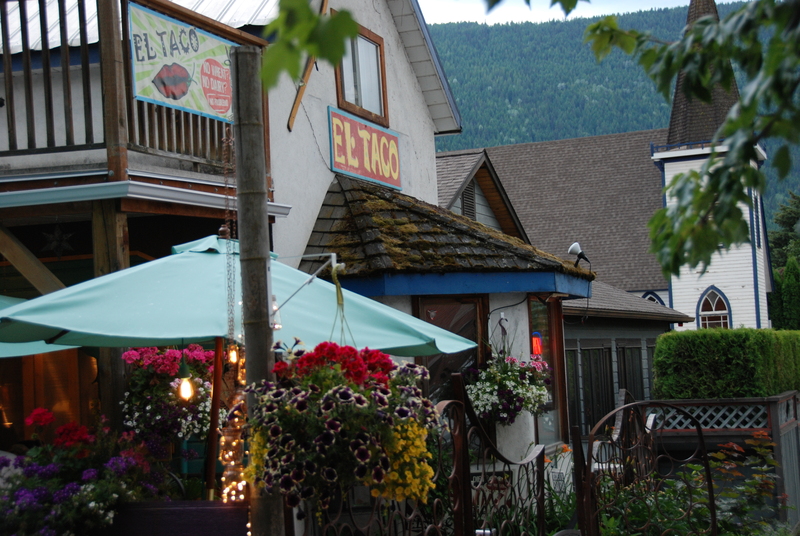 We were on a budget ourselves and sought out the more reasonably priced eateries, El Taco was one of the best, $8 for a huge burrito; and a great little Indian restaurant called Baba’s with an outside eating area right on the sidewalk for a mid priced, and tasty butter chicken. 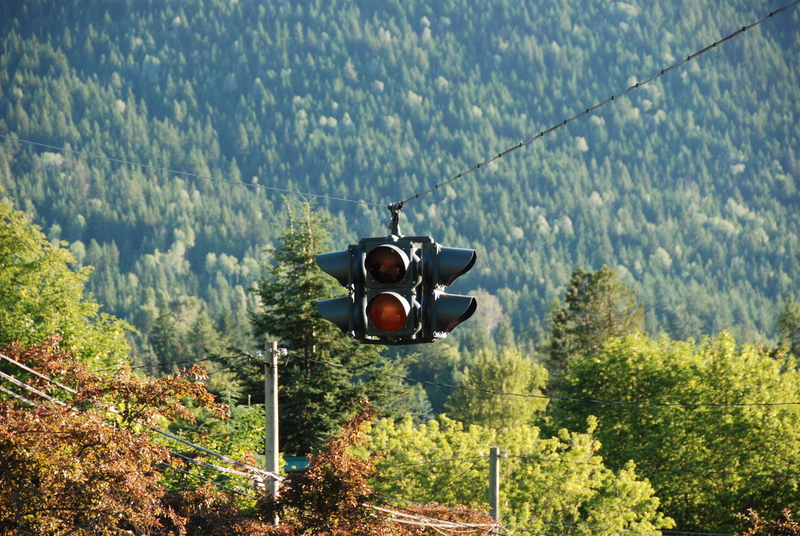 All that aside, Nelson is beautiful, situated on the West Arm of Kootenay Lake and nestled back into the Selkirk mountains with concurrent steep streets. It’s where Steve Martin filmed Roxanne. I remember seeing that film many years ago, long before Canada was on my radar, and was struck by how beautiful the city was – I made a point of looking up the location – and finally here I was in person. You never know when a seed will germinate. 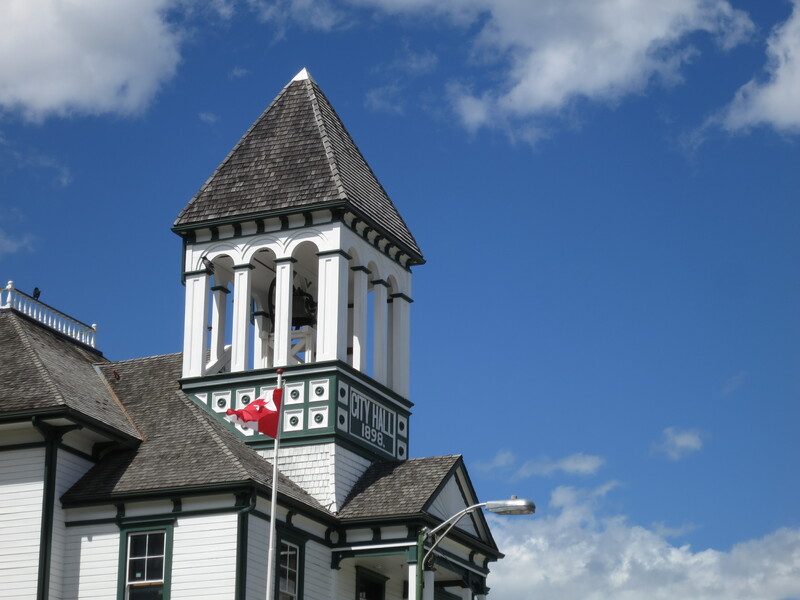 Nelson has something like 350 (or more) historic buildings, restored from the silver rush days of yore. 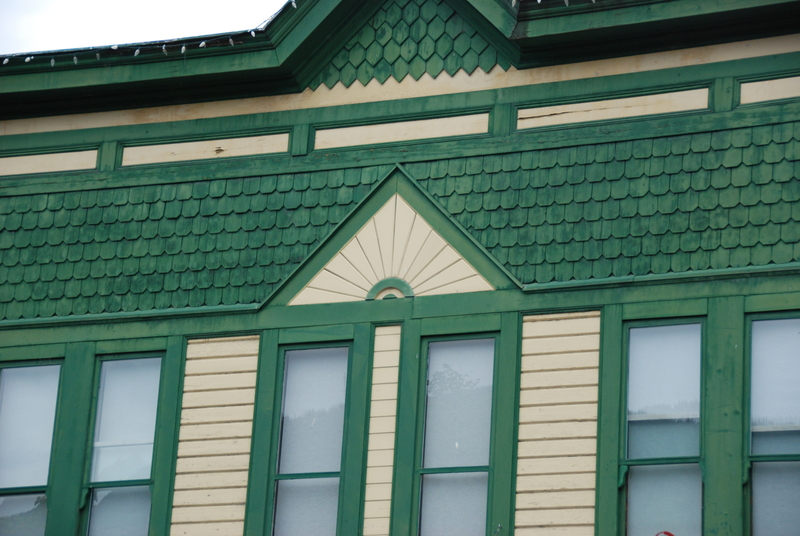 Luckily for Nelson, when other cities were tearing down older buildings and building more modern versions in the 60’s and 70’s, Nelson merchants modernized their buildings with sidings of aluminum. 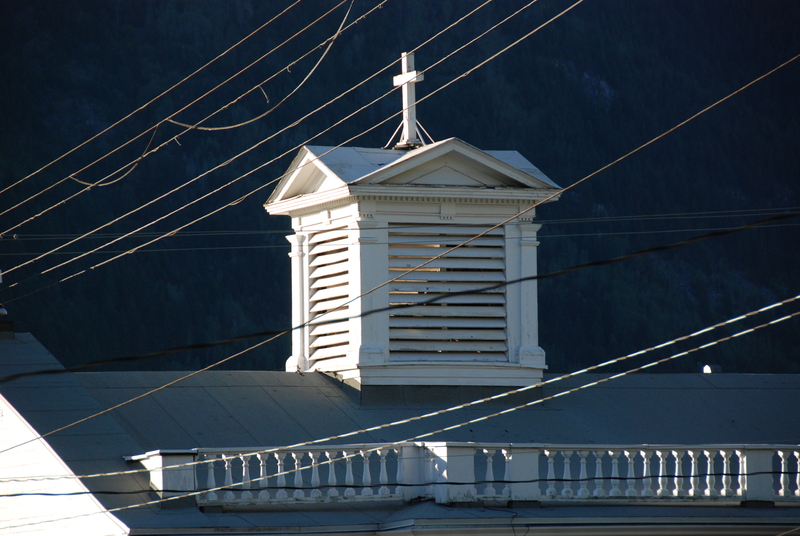 With the surge in historical restorations in the 1980’s, Nelson simply ripped off the sidings. Battling colds, and so forgoing riding, we made day trips to nearby towns. 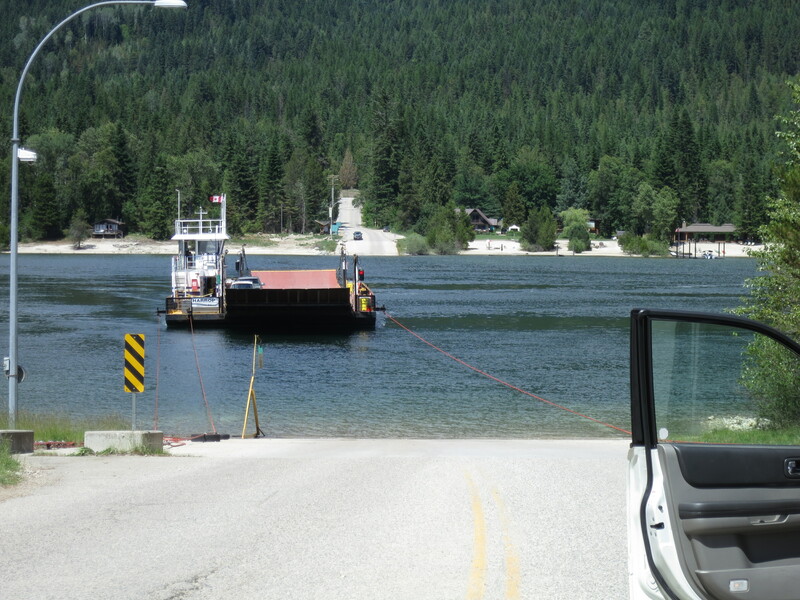 One was the tiny community of Procter accessed by a free ferry across Kootenay Lake. 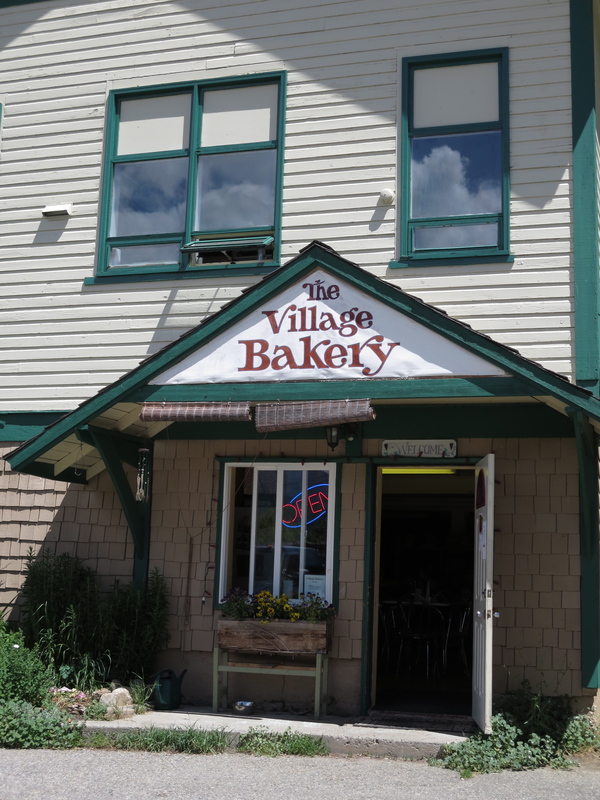 We’d been told to hit the village bakery for the best cinnamon buns and they didn’t disappoint. As soon as we walked into the bakery, it seemed we were standing in the middle of the kitchen, whilst locals wandered in and out helping themselves to whatever was coming fresh out of the oven. Mounds of dough were waiting to be made into the massive aforesaid buns. Chatting to the owner it turned out that the bakery was once a school, before it became a private house and bakery. When our friendly baker bought the house from the woman who owned both, she ‘threw’ in the bakery and taught him how to make cinnamon buns in two weeks (he said it’s not that hard and you get instant credibility in the village!). Now looking to retire he asked me ‘want to buy a bakery?’. My immediate answer was ‘kind of’. It’s lovely there, peaceful and pretty, but baking?!….. 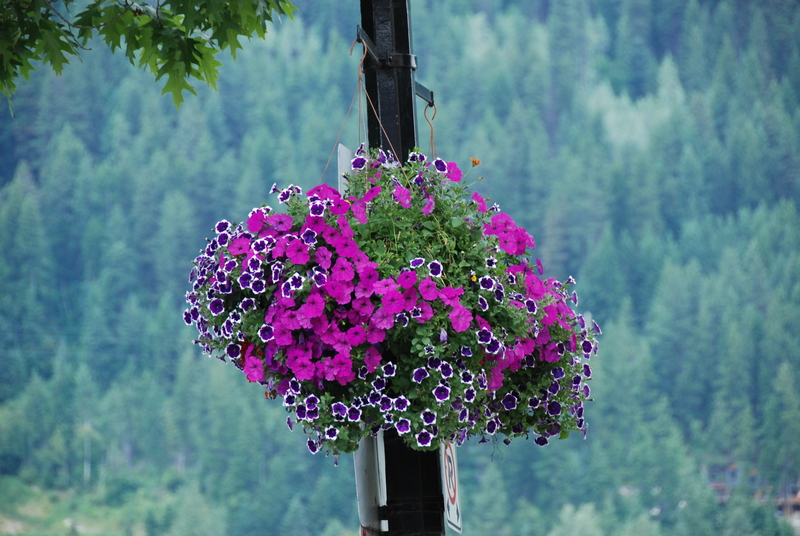 Kaslo was on our list of day trips and particularly the road between Kaslo and New Denver. A beautiful flowing and winding road, it’s a top rated ride for cyclists. Grizzlies and moose can be spotted if you hit it at the right time. 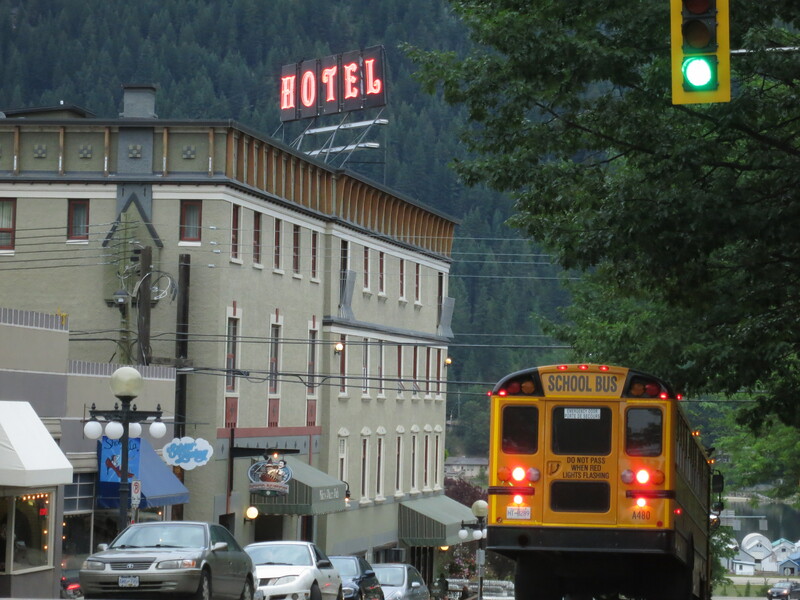 We have to go back and ride it….in the meantime we explored Kaslo. As the heat beat down, we knew we’d need to spend time cooling off. 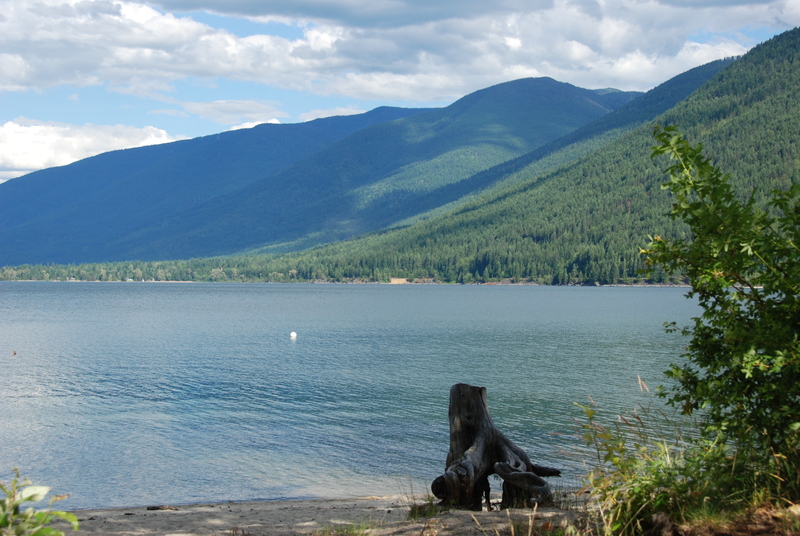 And so we did, lounging on a beach by Kootenay Lake, the latter so glacially cold that we could barely dip into it. Someone picked up a guitar and played really really well. Eventually the sun started to disappear, it was time to leave…..to the sound of ‘Blackbird’ being played. Nelson sounds ( and looks ) quite delightful – you’ve made me want to go there!